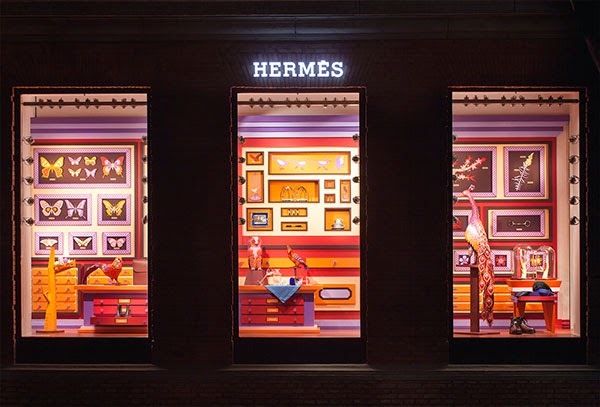 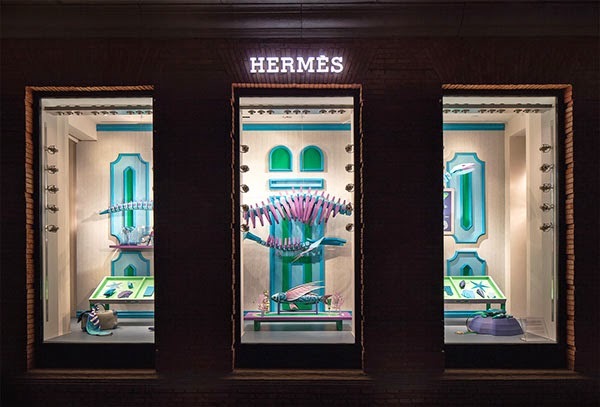 An artist window created for Hermès Maison in Shanghai inspired by museums of natural history, combined with a cabinet of curiosities. 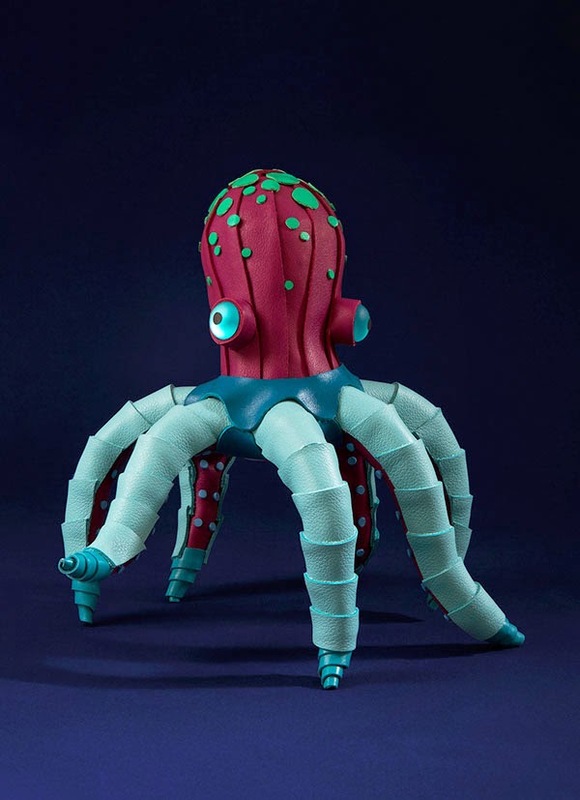 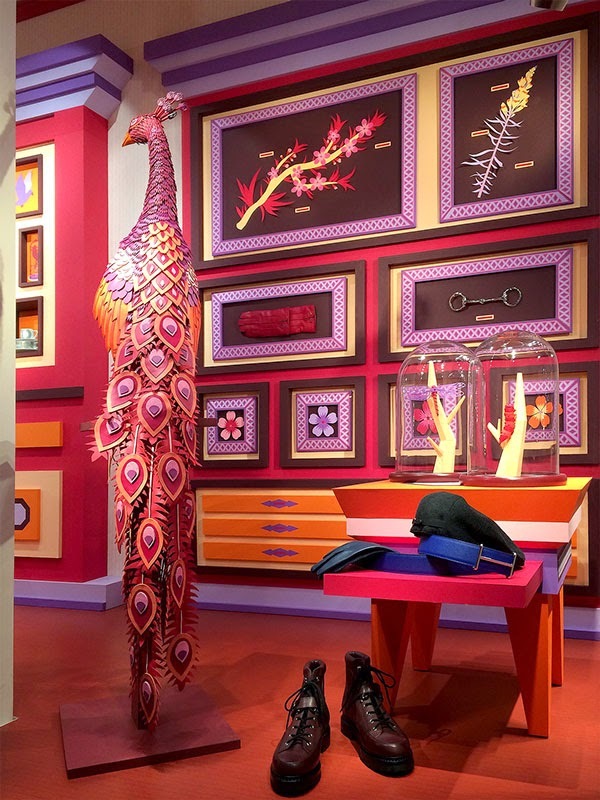 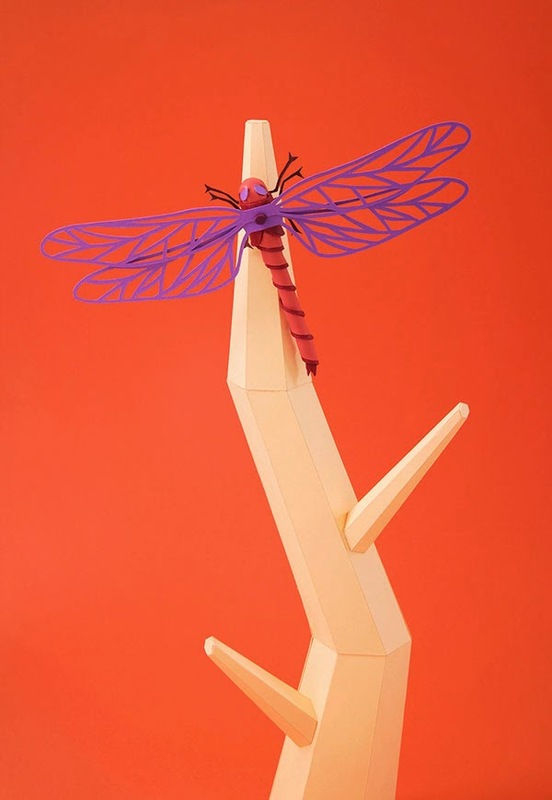 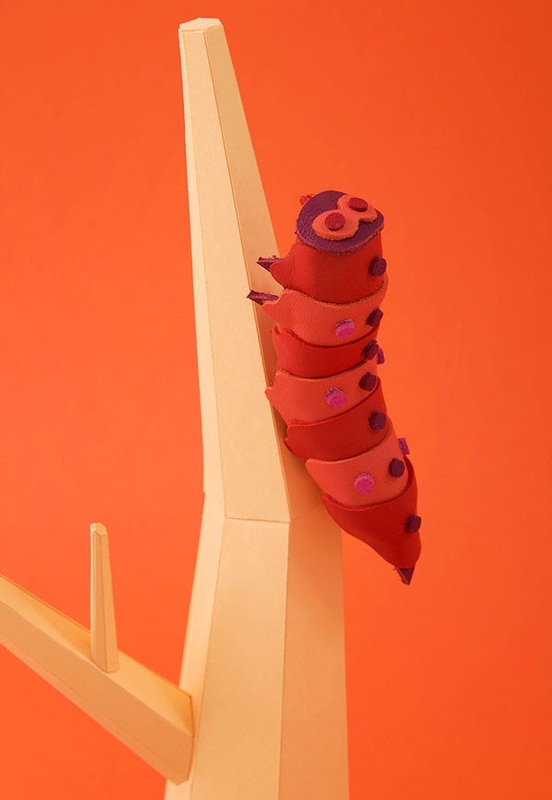 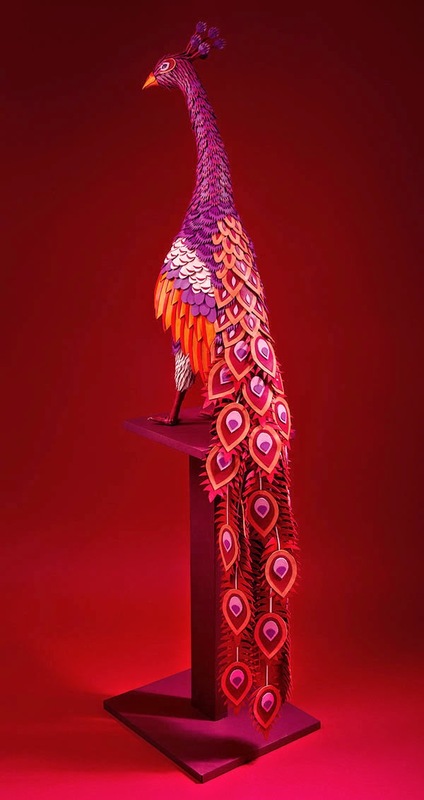 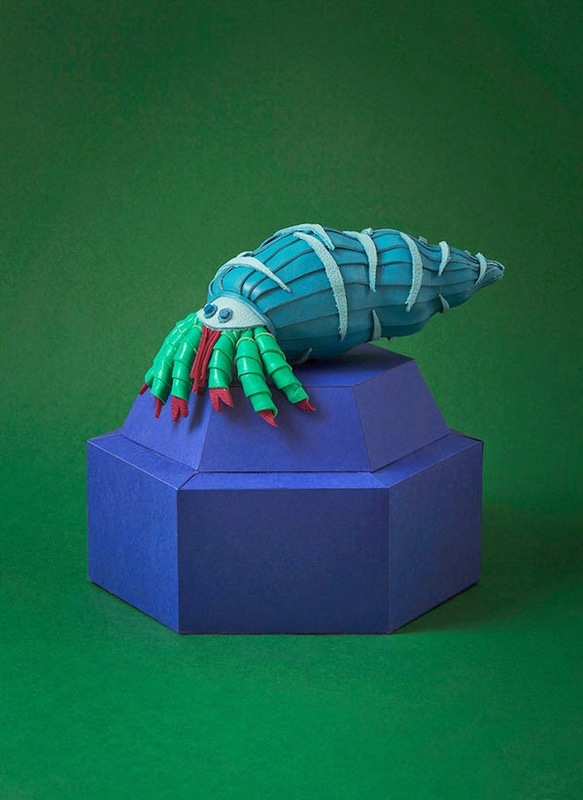 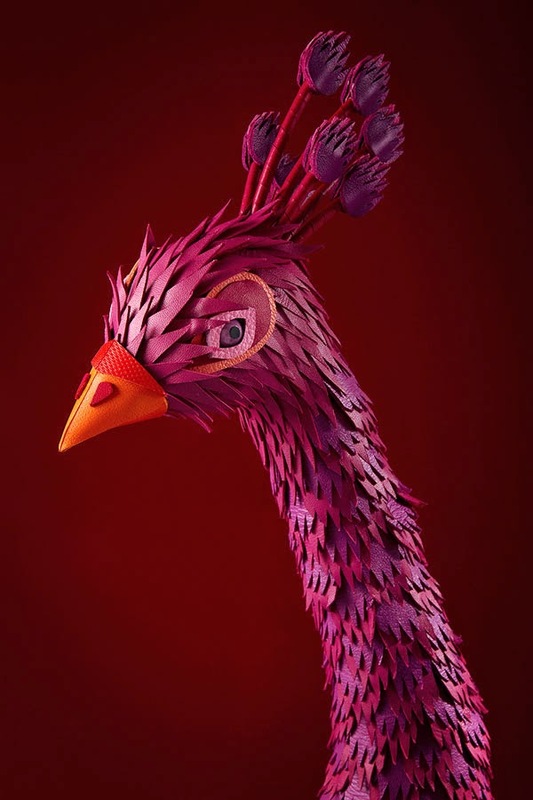 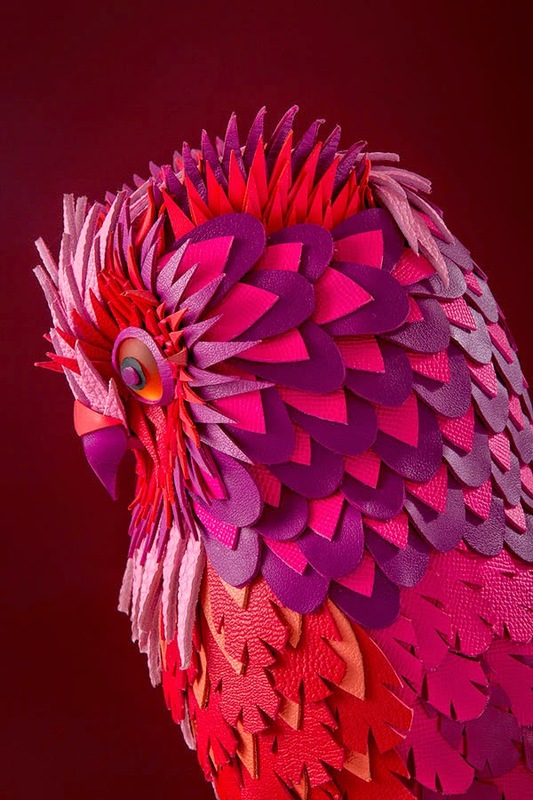 The animals were all hand-made using paper and leather offcuts from the Hermès workshops in Paris. 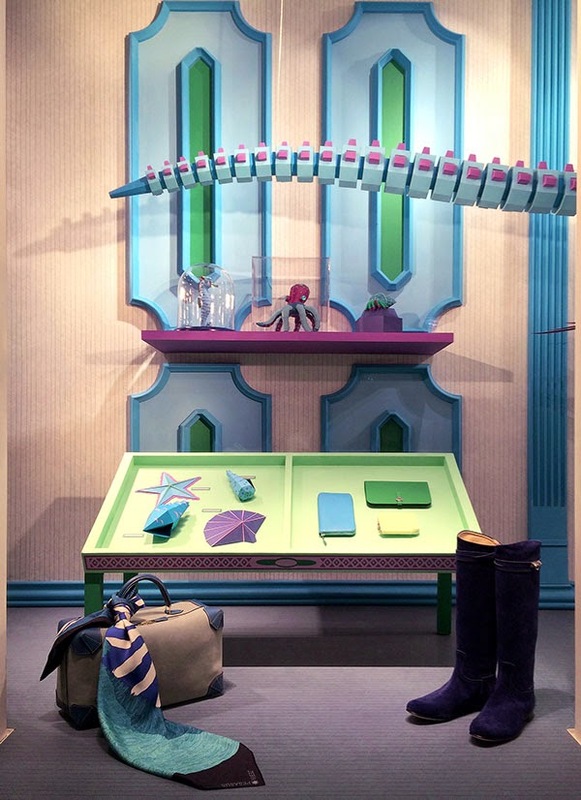 The theme of the two main windows are about air and water and the smaller windows are about earth. 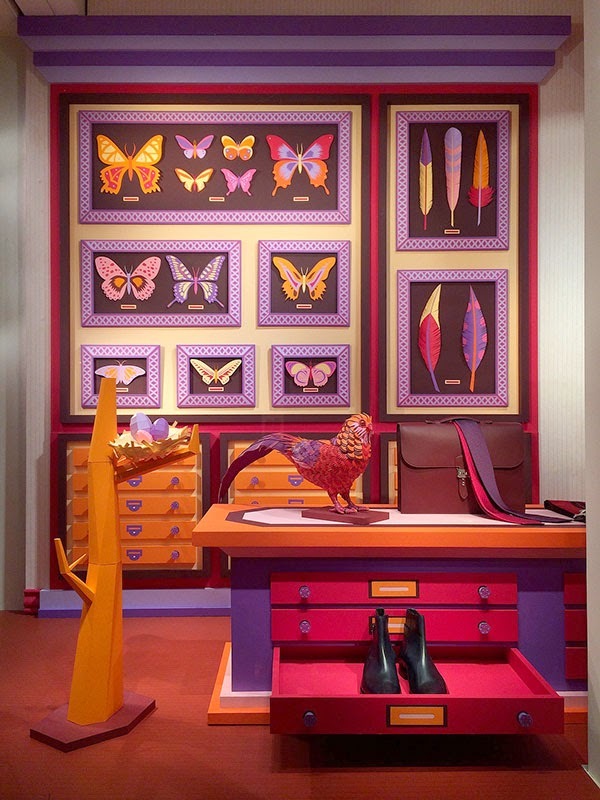 The project took three months to complete with the support of a local team. 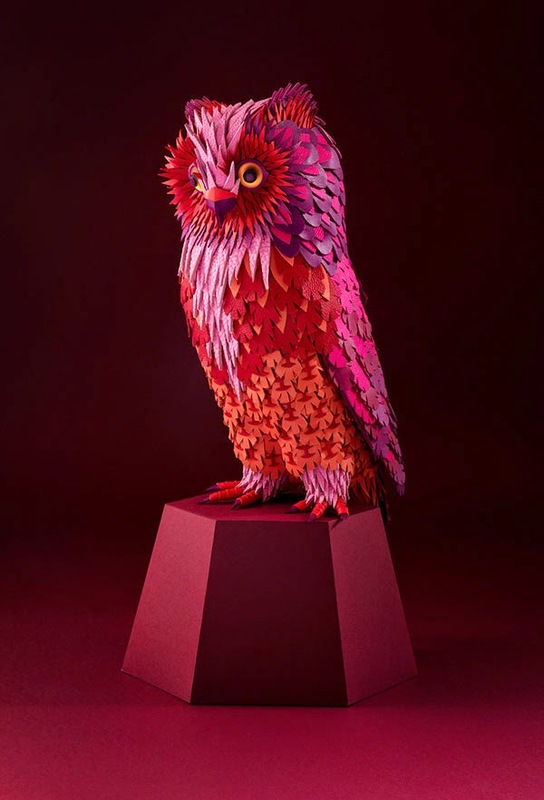 Zim & Zou are artists Lucie Thomas and Thibault Zimmermann based in Nancy, France.